This recipe is straight from my West Bend Bread Machine Instructional Manual. I adapted it to make it dairy-free. I was in the mood for a sweet bread and thought I'd give it a shot. The only ingredient I left out was 2 tbsp's of dry milk. I confess....I'm famous for leaving out ingredients and hoping for the best when I don't have them on hand or in this case, wouldn't use them and don't know how to substitute for it! :-) I did a quick Google search and determined that leaving it out should not detrimentally effect the outcome, and it didn't! (The only use I could find for adding the dry milk was to make the crust crispier, but it turned out plenty crisp without it). Place ingredients in bread machine in order recommended by manufacturer. Set to "sweet" cycle and light crust. 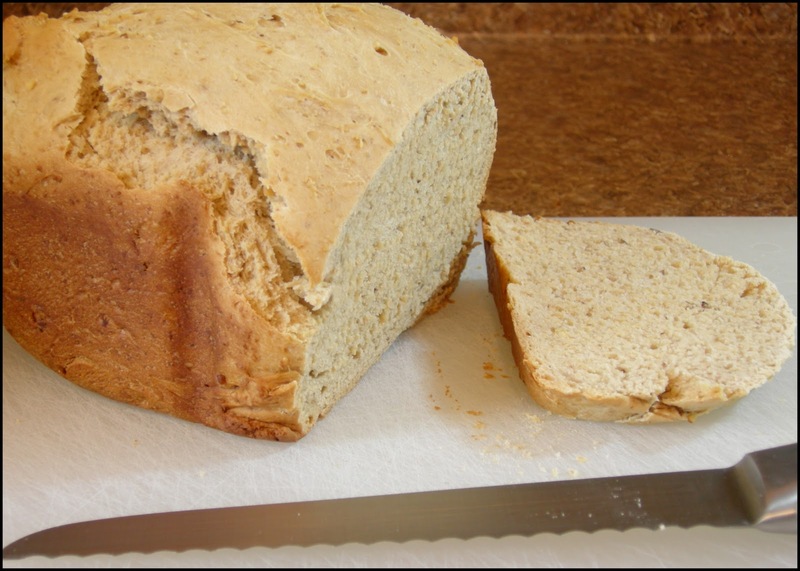 This bread turned out hearty, very moist and really, really good! I wasn't sure what to have for lunch so I threw together this quick and nutritious sandwich using some slices of this bread. It's easy and shouldn't even be called a "recipe", but I'll include it anyway as a suggestion! 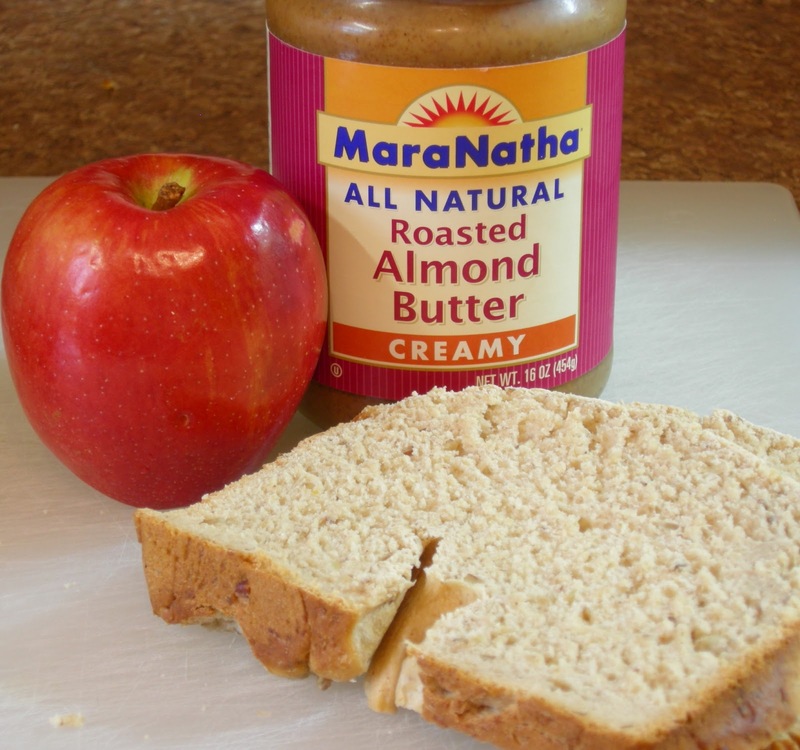 Spread nut butter over bread. Thinly slice 1/2 an apple and place slices on top of nut butter. 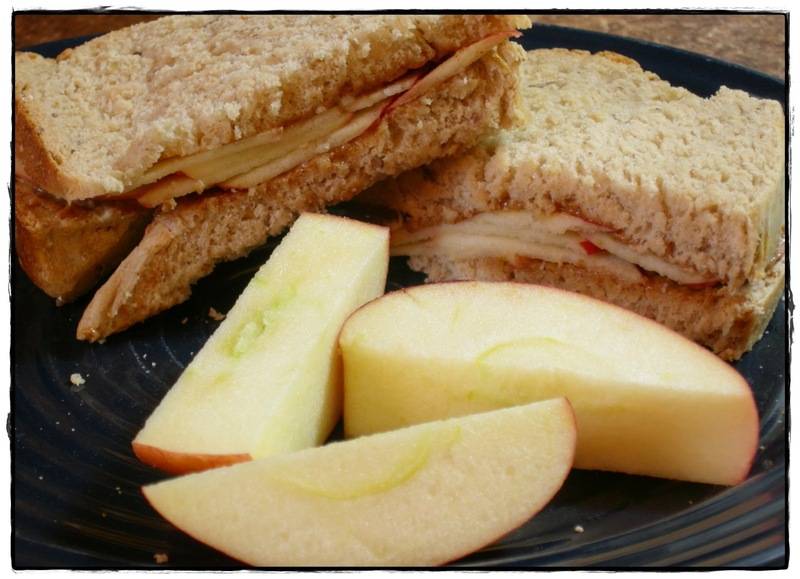 Enjoy as a sandwich with the other half of your apple on the side!